The eternal Brigitte Yague (-49 kg) and the newest World medalist Eva Calvo (-57 kg), left in the road several powerful rivals that crossed their path in the Manchester Grand Prix. Both won in the "GP Final 2013”. President of the Cuban Taekwondo Federation says: “The WTF didn´t keep its promise… "
The conspicuous absence of the Cuban National Team, with its World Champions, in the World Taekwondo Grand Prix recently held in Manchester, United Kingdom has now an answer: The WTF would have breached the commitment to cooperate with the Cuban delegation. 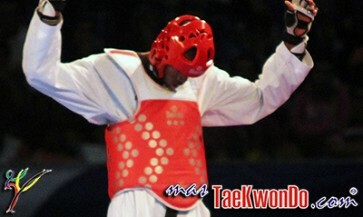 The 2013 WTF World Taekwondo Grand Prix has finished and left great performances and unforgettable spectacular moments. Here is a summary of the three days of Taekwondo action. 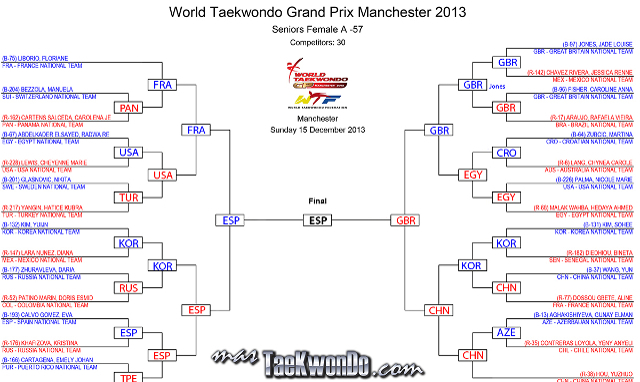 See the charts with the results of day by day in the WTF Grand Prix in Manchester.